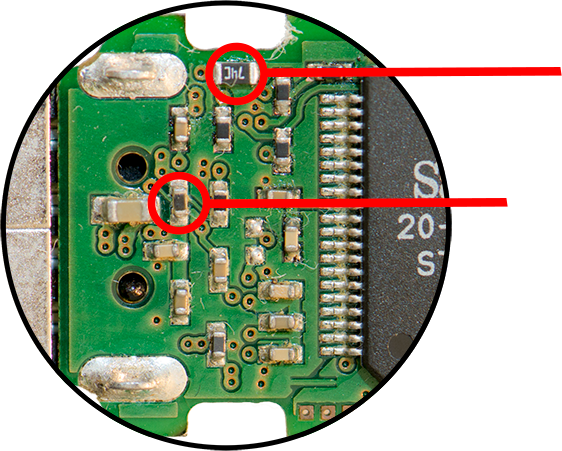 Many older SanDisk flash drives have two common faults that account for 90% of failures (aside from broken connectors / PCB damage) including the dreaded “endless blinking light” fault. The 20-99-00092-2 & 20-99-00121-1 controller PCB’s are interchangeable however there are two variations shown below. 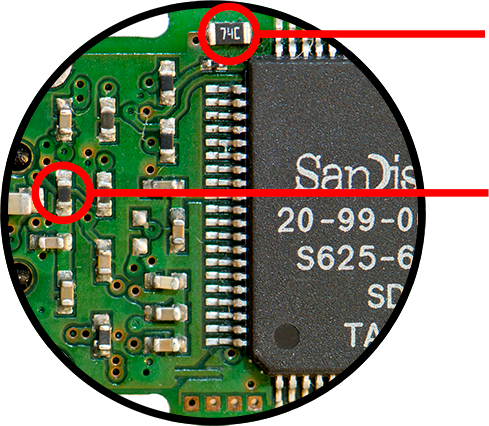 Both controllers generally encrypt the data in the NAND chip preventing recovery by reading the NAND chip directly. Depending on the generation some 20-99-00121-1 controllers may not encrypt data however repairing faulty components is the best way to recover data from these model flash drives. The first fault originates from the overvoltage protection circuitry provided by a 1.3-ohm resister, which fails open should too much current flow through the USB connector. This presents itself as a very dim led light or no led light. The second fault is a mystery resistor (I don’t know what it’s for); the original value is 23k-ohms however I find replacing it with a 57.6k-ohm resister can magically bring the flash drive back to life fixing the “endless blinking light” fault and many other miscellaneous failures.